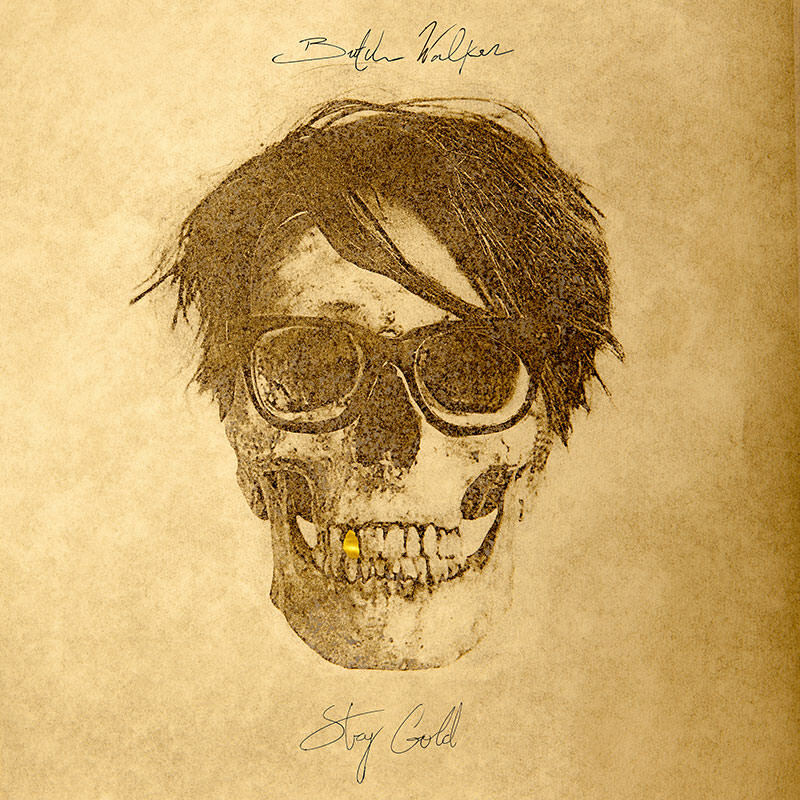 The stories on Stay Gold are very well fleshed out, something Butch credits to “growing up on some of those dudes – Elton John and the (Bernie) Taupin lyrics, Springsteen and Joel.” It kicks off with the title song, a straight-ahead rocker, loaded with swagger and lyrics that call out native GA locales featuring a nod to the S.E. Hinton novel (and later, a Coppola film), The Outsiders. The lead single “East Coast Girl” and “Mexican Coke” are inspired by Walker’s move to Los Angeles, the former effectively combining an anthemic chorus with spoken verses, recorded conversationally on an iPhone. The writerly eye for detail is apparent in one of Stay Gold‘s standout tracks, “Wilder In The Heart”, describing an airport meeting with a girlfriend. Stay Gold will be available on a limited edition of 500 gatefold heavyweight gold vinyl LP, in addition to CD & digital. Lojinx direct pre-orders can also opt for an exclusive metallic-gold printed t-shirt bundle. Lojinx, iTunes and Amazon MP3 pre-orders include instant grat downloads of “Stay Gold”, “East Coast Girl”, “Descending” and “Ludlow Expectations”*. Alternatively, support your local record store and request Lojinx LJX107LP or LJX107CD.